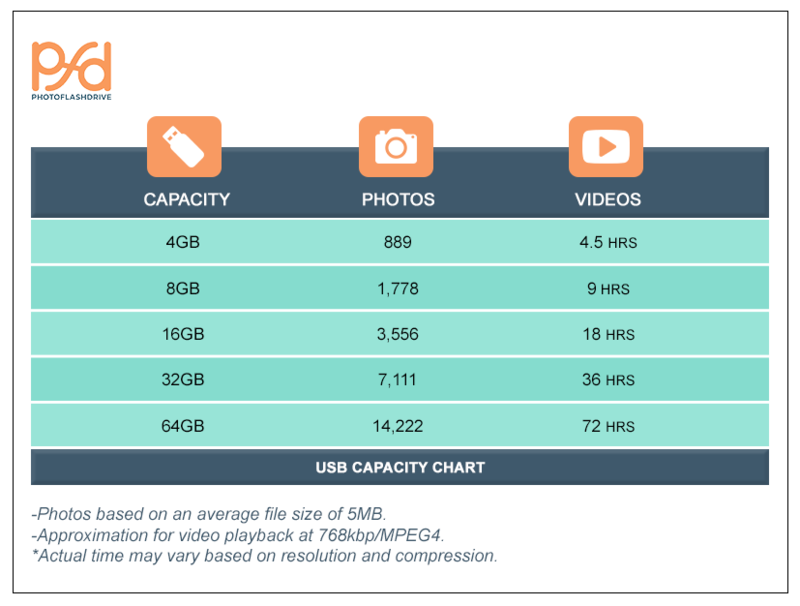 Before we tell you how many photos we have found fit on different capacities, it's important to note that it is necessary for a flash drive to allocate a small amount of space for its own firmware to make it operate. It is standard for 5-10% of a drive's capacity to be reserved as unusable space. It is also standard industry practice to state a flash drive's capacity based on physical memory, not available memory. Have additional questions about which capacity is right for you? Contact our Customer Care Team at cs@photoflashdrive.com so that we may better assist you!